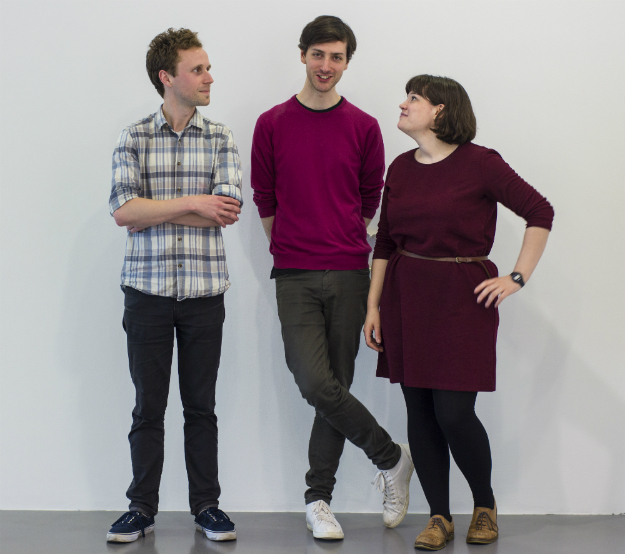 Jon McNaught, Luke Pearson and Philippa Rice (above). Three artists whose diverse and distinctive approaches to comics have had remarkable success in proving the potential crossover appeal of the form over the last several years. 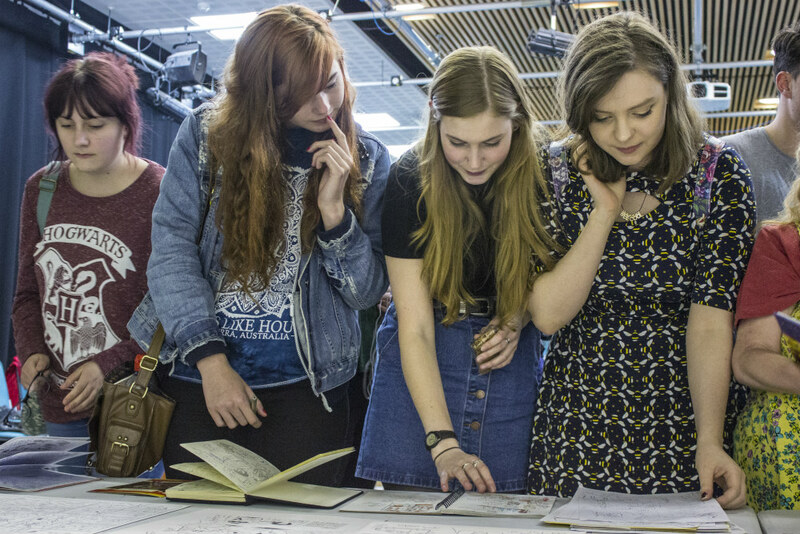 This respected trio have all been featured on multiple occasions at Broken Frontier over the years and today we’re very pleased to publish this guest blog from that boundary-pushing creator P.M. Buchan (Blackout, La Belle Dame Sans Merci, Heretics) on their interactions with students at Plymouth College of Art last year. In 2016 BA (Hons) Illustration students at Plymouth College of Art were visited by some of the UK’s most exciting comic book creators, including: illustrator and cartoonist Luke Pearson, whose Hilda series of comics is currently being adapted as an original Netflix animated series; illustrator, animator and comic creator Philippa Rice, whose graphic novel Soppy was published in the UK by Penguin Random House’s Square Peg imprint; and illustrator, comic-book artist and printmaker Jon McNaught, whose illustrations have been published by the New York Times and Washington Post. 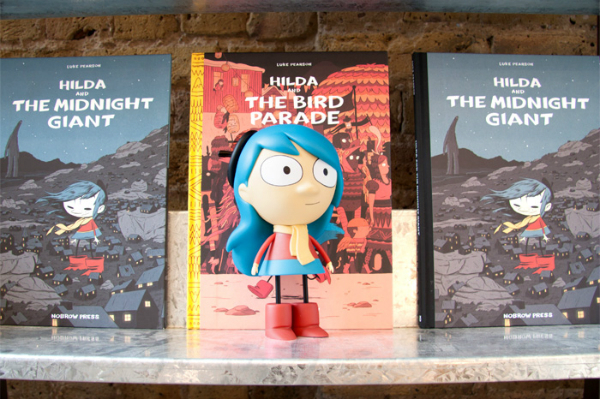 Luke Pearson is an illustrator and cartoonist, best known as the creator of the Eisner-award nominated Hilda series of graphic novels, which include Hilda and the Troll, Hilda and the Midnight Giant, Hilda and the Bird Parade and Hilda and the Stone Forest. First published by Nobrow in 2010 and currently being adapted as an animated adventure that will launch on Netflix in 2018, the Hilda comics “follow the journey of a fearless blue-haired girl as she travels from her home in a vast magical wilderness full of elves and giants to the bustling city of Trolberg”. “When I was at university, I began drawing a girl who eventually evolved into an early version of Hilda. Then one of my taught projects was to create a map, so I chose to make an interactive map version of Iceland. I got really caught up in this world and the stories that could happen there. It all lodged in my imagination at the same time as I was drawing this girl, Hilda. 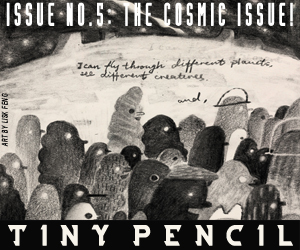 “I loved things like the Moomins, and Philip Pullman’s Northern Lights, and around this time I entered a Nobrow competition that didn’t go anywhere, but they asked me to submit a comic for a new series they were doing. I set my story in a Scandinavian world, and that’s where Hildafolk came from. People liked it and I got a chance to do another then another. “Since then I’ve also done stuff for Adventure Time, including some storyboarding. It’s kind of like doing comics but it’s way harder and takes a lot longer! 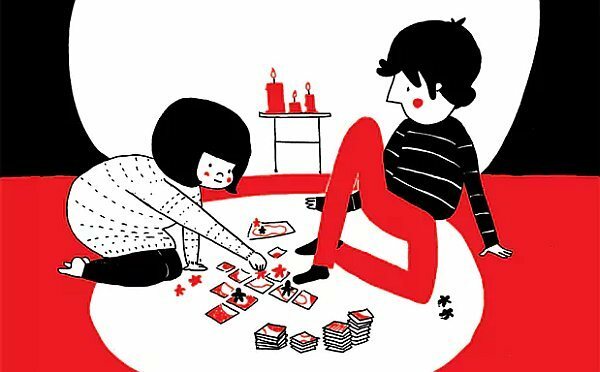 Illustrator, animator and comic creator Philippa Rice is the creator of the graphic novel Soppy, the webcomic My Cardboard Life and the Soft Spot YouTube channel. Working in sculpture, collage and textiles as well as more traditional illustration styles and animation, Philippa’s storytelling spans a range of different mediums. “I studied animation at university, but afterwards I spent a year or so doing other jobs, working on paintings and collage in my free time. I never really thought of comics as something that I’d get into, but I had this idea of a cardboard character that seemed to work as a comic, and in 2008 I started my first webcomic, My Cardboard Life. 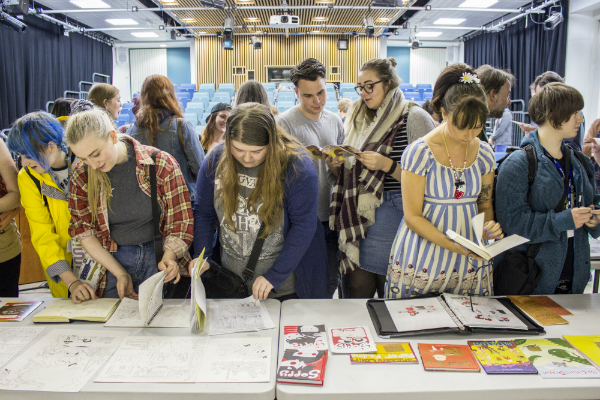 “It built gradually and by 2010 or so I’d be making a webcomic for every weekday and building my audience online, making handmade mini comics to sell physically. 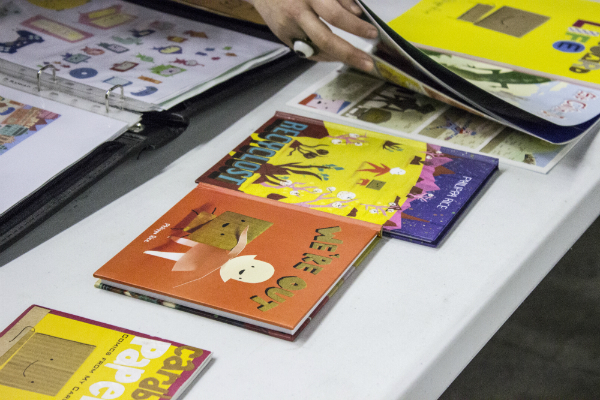 I moved from handmade comics to digital printing as the demand grew. “I was able to quit my day job by the time that people were preordering enough copies of my new comics to pay the print-run up front. By that point I’d been doing webcomics for about three years, so there was lots to collect. “I don’t do the My Cardboard Life webcomic anymore, but it was most of my life for 5 or 6 years. Alongside it, however, I did lots of other things, and I kept diary comics after it finished. Those diary comics, as well as the strips I made when I took part in hourly comic day, all ended up turning into my autobio book Soppy. “Soppy started as a neat version of what I’d be doing in my sketchbooks anyway, but they got a lot of attention on Tumblr. At first I collected them as two mini comics, risograph printed. Once I printed them they started selling out quickly. It felt like I needed a publisher to help me sell it, rather than printing it myself. I started being followed by literary agents on Tumblr, and then I emailed one and she pitched it to publishers, I got a deal with Andrew McNeil in America and Square Peg in the UK. In the pitch I said there were 30 pages already done and I’d make it up to 100 pages with new material. 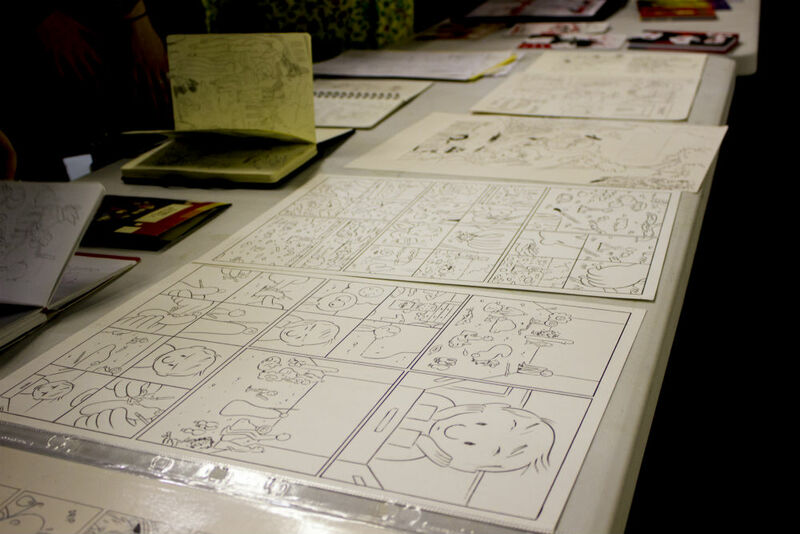 “Working with publishers was new for me, having to draw roughs and let publishers know in advance how things would look. Before that I would put something online when it was finished. 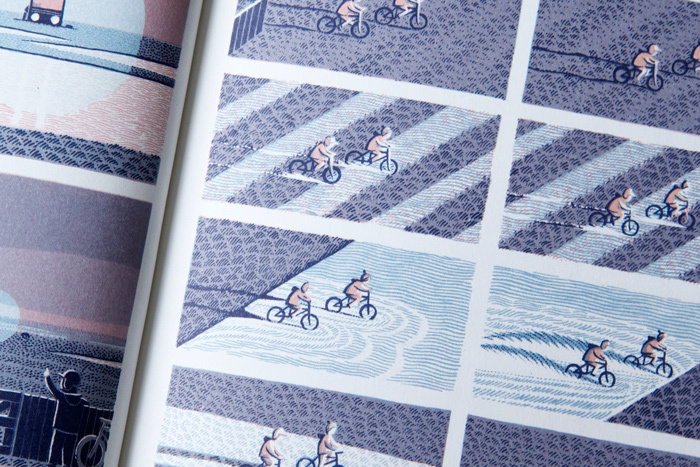 Illustrator, comic-book artist and printmaker Jon McNaught, has had three graphic novels published by Nobrow and his editorial illustrations have been published by the New York Times, Washington Post and London Review of Books. “Comic books and narrative work are my real passion, although I do some newspaper editorial work for New York Times and Washington Post. I also love doing book covers. Having such a love of books and collecting books, it feels very exciting to be involved in that process. “I graduated from the University of Western England in Bristol in 2007, studying Illustration, but I spent most of my degree in the print room. 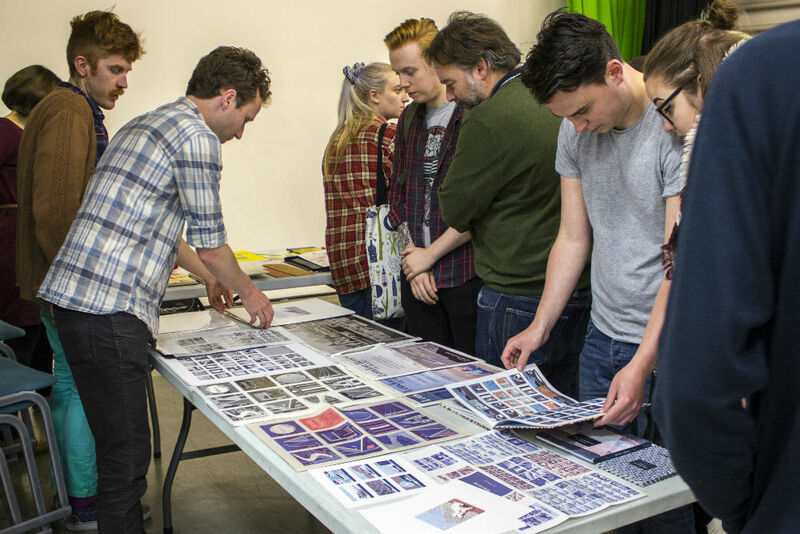 I still work in the print rooms there part time as a technician! But when I was studying there, I loved the atmosphere and the opportunities to learn new skills. I was looking at lots of landscape printmakers, particularly British landscapes, and was always really interested in that sense of space. “There came a point when everything I was doing felt very nostalgic, and I thought that I should stop focussing on my childhood. 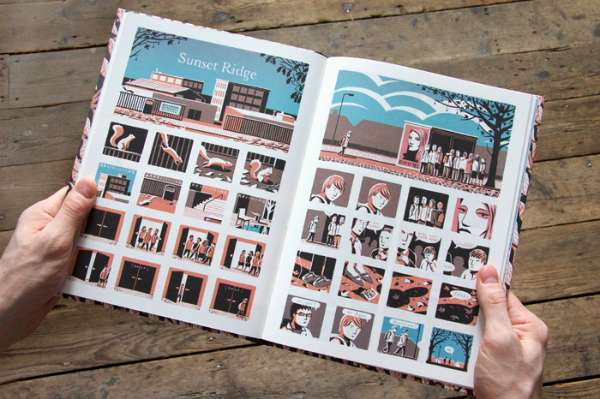 At this time I had a chance to create a new book with Nobrow, from scratch, and so I fell back on biographical elements, which felt honest to me. Things that I know. “The next book was based on a job I’d had doing paper rounds, and working in the kitchens of an old people’s home. I started noticing and wanting to capture juxtapositions, like actions films and old men with guns on the side of every bus, in these normal, everyday environments. 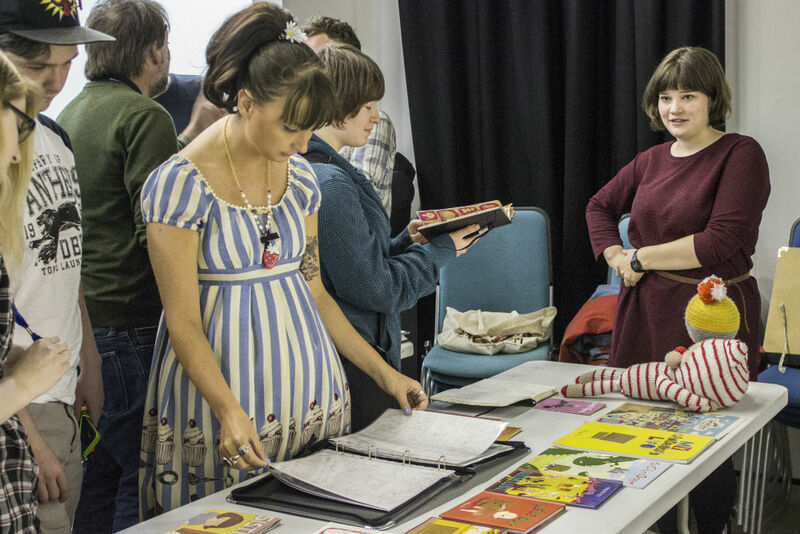 Notable BA (Hons) Illustration graduates from Plymouth College of Art include Sad Ghost Club founder Lize Meddings, who was the subject of an Alumni Shorts film about her work. Illustration lecturers at Plymouth College of Art include Phil Trenerry, founder of Pylon Press, and Benjamin Wright, one half of Lalala Pompom, alongside former Plymouth College of Art student Isaac Lienkiewicz. If you’re interested in finding out more about studying Illustration at Plymouth College of Art sign up for an Open Day or visit the website for more information about how to apply.